Come summers, temperatures begin to soar high leaving everyone feeling fatigued, sweaty and messed up. Staying hydrated is the most important factor to keep going in this sweltering heat and maintain good health. Your body tends to lose water at a faster pace due to excessive sweating. While water is the utmost important drink to quench thirst, you can try other summer beverages that not only satisfy your thirst but also keep your body cool. As we welcome summers, let us refresh and replenish our body with some of the best summer beverages in order to beat the heat. We suggest a bunch of summer drinks that you must not miss out on. A chilled glass of coconut water with chia seeds can instantly cheer you up. The mild sweetness and fresh taste makes it just the perfect drink to keep summer blues at bay. This is a great on-the-go drink and easy way to get omega-3 fatty acids into your diet. Mix chia seeds with coconut water and a bit of lemon, shake it up in a jar, and let it sit for at least 10 minutes. That’s it! Delicious, healthy and a natural energy drink that won’t ruin your inside. It also makes for a great electrolyte, so every time you feel dehydrated, load on some coconut water and you are go to go. Barley water makes for an ancient remedy for good health. All you need to make this elixir is pearl barley, water, salt, a dash of honey and lemon and you are good to go. 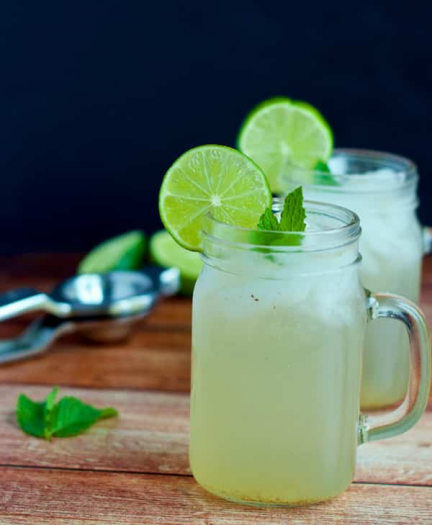 Why to miss out on the most sought after summer drink, our very own nimbu paani or lemonade? A quick drink to make and amazingly delicious, this drink is prepared using mint leaves, lemons, dash of sugar, salt and water. You can also add spices like cumin, coriander powder, black pepper,to make it interestingly tasty. Buttermilk or popularly known as chaas is an amazing curd-based drink that is undoubtedly an Indian favourite. Chaas is a brilliant digestive, and the addition of spices like jeera only enhances the benefits it has to offer. Go one & make masala salted lassi to make this hot sunny day a refreshing one. Iced green tea provides cool refreshment on a hot day, and the beverage comes with a host of health perks you won’t get from a can of soda. Some bottled versions can be heavy in sugar, however, and potency can vary. Making your own tea at home can help ensure the healthiest beverage possible. Brew your tea at home and chill it in the refrigerator or pour it over ice. Refresh and hydrate with this citrusy spa water. Adding fresh fruit, veggies and herbs to still or sparkling water is a great way to boost flavor without adding calories or sugar. Serve in a pitcher for a party or bottle individually for on-the-go hydration. Can replace Cucumber with watermelon to make it more hydrating & refreshing . Stir water, cucumber/chopped watermelon, lemons and mint together in a large pitcher. Cover and chill for at least 4 hours to blend flavors. Strain out solids, if desired. Black Raisins being an excellent source of natural antioxidants,eliminates damaging free radicals from our body and detoxifies it completely by keeping the blood free from Impurities. Kokum fights oxidative stress and inflammation. protects your liver, is good for your heart, helps prevent gastric ulcers,treats diarrhea and diabetes, keep your skin young, and fight obesity and cancer too. Jeera water is best because it not only clears all the toxins from the body but also acts as a coolant to the body in these scorching summer. 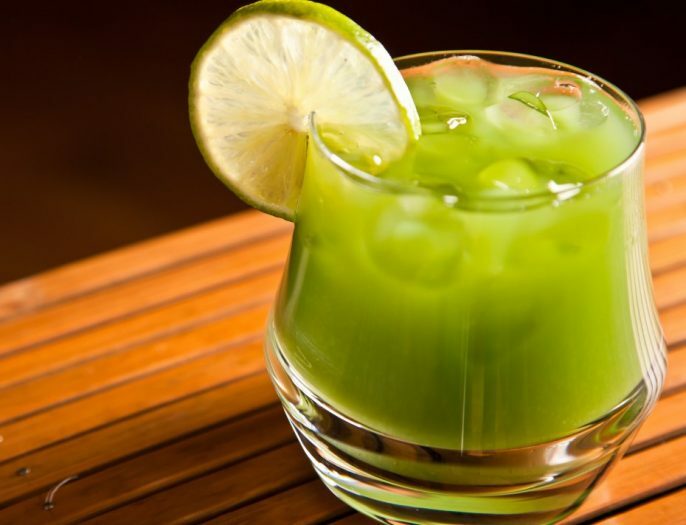 Soak the 3 ingredients overnight, grind them all together next morning & this hydrtaing & coolant drink is the best detoxifier to be had during the first time of the wakeup in the morning. Enjoy these treats to beat the Summer heat. « Are You Walking the Right Way? Time to Check Now.